If you are thinking about something entertaining to do as a group or family, then you may well be interested in one of the latest trends in interactive live entertainment – escape room games. Escape room games are live experiences where players are trapped in a location with a time limit to escape, which they do by solving puzzles, finding clues, and unraveling mysteries. Originally a Japanese idea based on a series of video games, real live escape rooms have been around in the US for some time now, and have even been featured on TV shows like The Big Bang Theory. With locations all over the country such as these Atlanta escape room facilities, an escape room experience could be a great fun activity for you to enjoy. Escape room games have a story. You and the other players in your group of between two and about eight people are trapped somewhere and have to race against the clock to escape. There are different themes, with some escape rooms going for spooky haunted house type themes, others with exciting action movie type scenarios, and others with classic mysteries to solve. Usually, the time limit is influenced by the story to give a real sense of rising tension as you work to find the answers you need to escape. A games master monitors your group while you play and will offer hints if you are struggling to solve the puzzles, as the idea is for people to get the full experience and for people of all ages to be able to play. Escape rooms are an entertainment facility, and so while they do create the sense that you really are in the story and under pressure to solve the puzzle or mystery, you aren’t actually trapped. This means that if the experience unexpectedly makes one of your group anxious, they can, in reality, leave the room at any time without completing the challenge. Who Are Escape Rooms Appealing to? 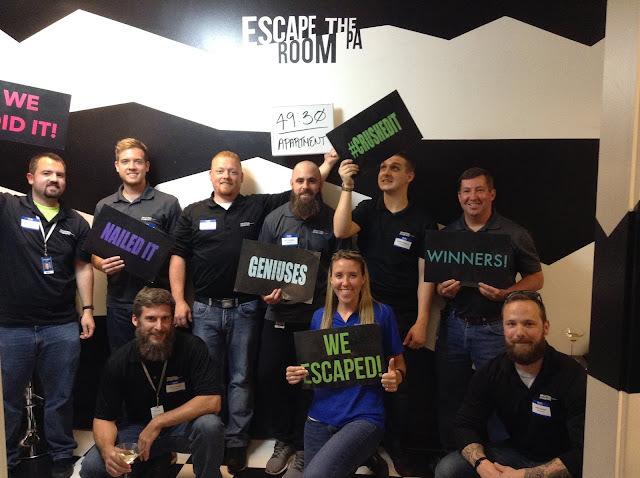 Escape rooms are becoming popular as team building activities for coworkers, as they give people a scenario outside of the norm where they have to work together, as well as being fun and exciting. Families too can enjoy escape room games together, particularly games designed to be less scary and to include some puzzle elements that younger children can have a chance to solve. In general, anyone who enjoys games, roleplay, and live shows can have fun with this style of entertainment, and most escape room locations offer multiple different rooms and stories so people who have had fun there can go back for a different challenge and experience next time. If you are looking for something new and interesting to do, whether with friends, family, or your team at work, check out the escape room games in your area and give it a try – it can be a lot of fun and also gives a surprising sense of achievement when you beat the game! I have always wanted to do one of these escape rooms! I hope that I can do one over the holidays! They looks like so much fun! I've heard about these! They have one near me, but I haven't tried it yet. I worry if my family did it, we'd all start cursing at each other. We don't work well under pressure. My niece wants to go to an Escape Room. This is so helpful in understanding what it would be like. I have always been a little nervous about it. We love the Escape Room. We did one as a family two years ago (didn't escape boo) and my kids have done them for their bday parties! My kids have been to escape rooms but I have never been in one. It does look like a fun way to spend an afternoon with the family some day. I have been seeing these Escape Rooms growing in popularity and I think it would be so fun to do. They're popping up everywhere, and I want to go try it! We have never done one of these Escape Rooms before. They look fun, and I know several who have done this and enjoyed it. I've always wanted to try escape games. I've heard that they're a lot of fun. 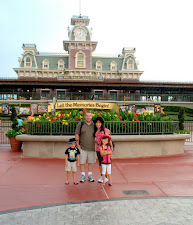 This would be great for my family to do during the holiday break. Thanks for sharing these awesome tips! We love doing escape rooms. They are a lot of fun. We love the escape games where I live. There is one called Elf for the holidays that I am dying to try! I have been wanting to do an escape room. It looks like it could be a lot of fun. I would love to do an escape room! I think it would be fun, win or lose! I haven't been to an escape room like that. We've been to an interactive escape room that was more like a big video game. I would be interested to check it out, I'm curious how hard it is! I was part of an escape room for the first time on a cruise and we LOVED it! I can't wait to do it again. BB can see this as a good team builder activity, but personally, Babushka would be too tense to do this sort of thing. Sitting in the corner, just eating out of the snack bag is more Babushka's style. My eldest daughter has been bugging me for us to try this. And since it's Christmas season I think I will let her experience this with the family.